This exhibition highlights the Gisèle Freund collections at the University of Victoria Libraries. 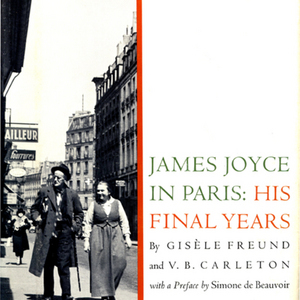 Special Collections & Archives houses Freund's personal and public material relating to her book, James Joyce in Paris: His Final Years. The collection includes personal notes, papers, letters, drafts, and photographs that the library acquired in 1967. To navigate this exhibition, you may use the arrows at the bottom of each page to go backward or forward; or, you may click on a page directly in the navigation menu to the right. The curators have included the Call Number for each item so that visitors to Special Collections will be able to locate the items in this exhibition--should you decide to visit. To start this exhibition, simply click on "Introduction" to the right.